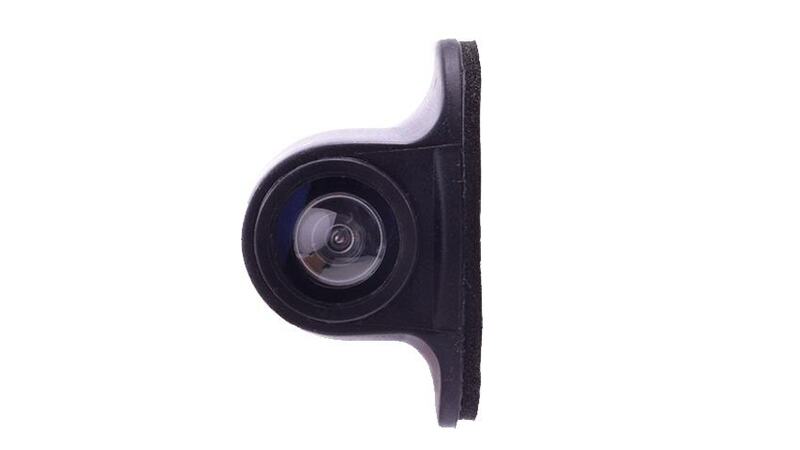 This is a rubber coated side view camera. It is small, aerodynamic, which makes it almost invisible. The lens is full color with night vision. Like all our backup cameras this camera doubles as an observation which permits you to leave the camera active continuously while you are driving down the road. 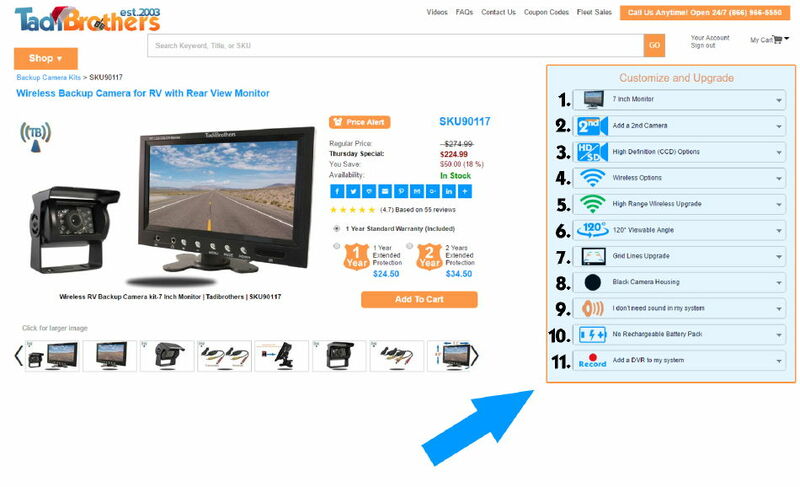 you can make any of the above cameras into a full system with a rearview monitor by using the “Customize and Upgrade” menu at the top of the page. Click on the to see systems that have side camera built into them. If you are planning on investing in a camera system for your RV, you will want to consider the view of the back, front and sides of your vehicle. It is often impossible to see what is nearby using just your mirrors, which is why smart RV drivers use cameras. A backup camera makes backing into parking spaces or monitoring the rear end a breeze. A front end camera ensures that you do not hit obstacles that you may not see through the windshield. Finally, a Side RV Camera allows you to navigate tight parking spaces, small roads and more. Even shifting lanes can be dangerous in a large vehicle, which is why a side camera is essential. As you shop for a Side RV Camera, you will undoubtedly notice that there are plenty of overpriced cameras out there. Many drivers do not realize that there are stark differences between certain cameras. Buying the first one that you see at a chain store could end up being a waste of money. For example, if your car is hit with a stray pebble, or if a rainstorm catches you by surprise, you really want to know that your camera will not break. That is why we carry rugged cameras that you can depend on to stand up to all of the abuse that you may throw at it – and then some. Of course, durability is useless without performance. Fortunately, our quality cameras come outfitted with all of the latest features. The military-grade night vision will keep your path illuminated for up to 35 feet. The camera produces exceptional picture quality. After all, squinting at a cheap screen is often more dangerous than relying on a mirror (or even attempting to navigate tight areas blindly). We take our products very seriously, and we are confident that even the most discerning camera enthusiasts will be pleased with our compact, high-end Side RV Camera. Outfit Your RV with the Best Cameras Here at Tadi Brothers, we sell a wide range of compatible vehicle cameras so that you can create your own custom system, oryou can keep it simple with a single camera. You can customize your camera system to run on one monitor, or you can cycle through the different views with the simple touch of a button. Another convenient feature is the ability to set your camera to run full-time or have it turn on automatically only when you are backing up. The reverse mirrored image gives you that familiar feel that experienced drivers are accustomed to, so you will not have to re-learn how to monitor your surroundings. If you want the most value for your money, buy a new Side RV Camera from Tadi Brothers. We are not just another big-box chain store looking to turn a profit. We specialize in camera technology because it is what we are passionate about. When you buy from Tadi Brothers, you can expect to receive premium products at reasonable prices, with the added bonus of free 24/7 customer support. We are committed to excellence and we are confident that you will see that for yourself. Order a quality side camera for your RV today.